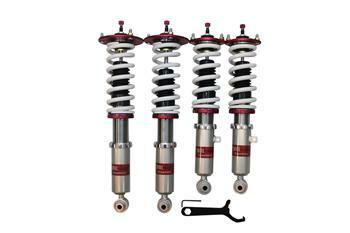 Our flagship coilover, the StreetMAX offers a 32-way adjustable mono-tube damper. 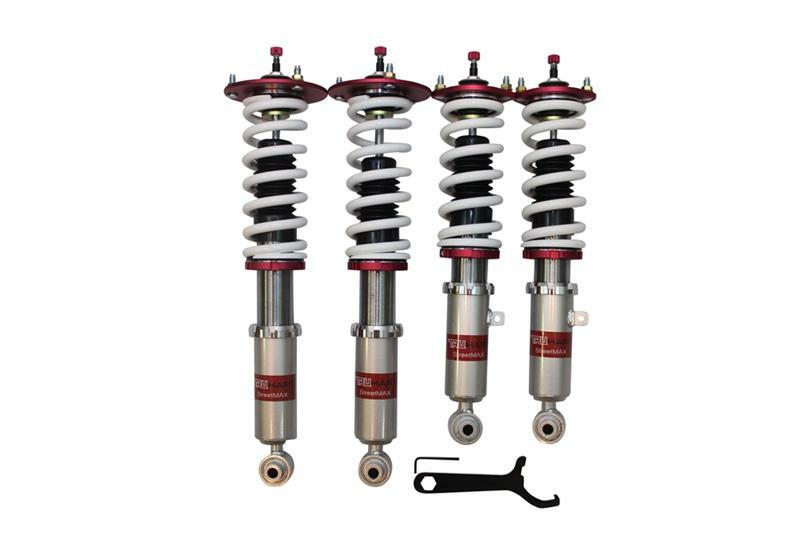 The 56mm (MacPherson applications) and 52mm (wishbone applications) shock bodies paired with steel lower mounts make the StreetMAX coilovers among the hardiest on the market. Separate preload and height adjustment allows for ride height adjustment while maintaining full strut travel at all times. Spring rate and valving are matched and application specific to provide a performance street feel also perfect for occasional track use.